We’re very excited to announce you can now buy our book as a gift set! The gift set includes a sticker reward chart and custom monster stickers of your favorite characters from the book. The gift set is temporarily on sale for only £14.99 and is for sale both on our website as well as Amazon. If you would prefer to buy from Amazon instead, please click here. Ordering via the website is quick and easy! Just hit the 'add to cart' button below for your product of choice. Then click the shopping cart to complete the payment process. If you require phone assistance, please click here and fill out the contact form with your phone number. If you want to know what the critics say, read an extended review of our book here. The review was written by The Literary Curriculum, who play an advisory role to primary schools across the UK about choosing appropriate literature to match learning goals. The book has also been endorsed by Jenny Johnson, CEO and Founder of the award-winning nursersy chain Kids Allowed and by the Oral Health Foundation, UK’s largest dental health charity. 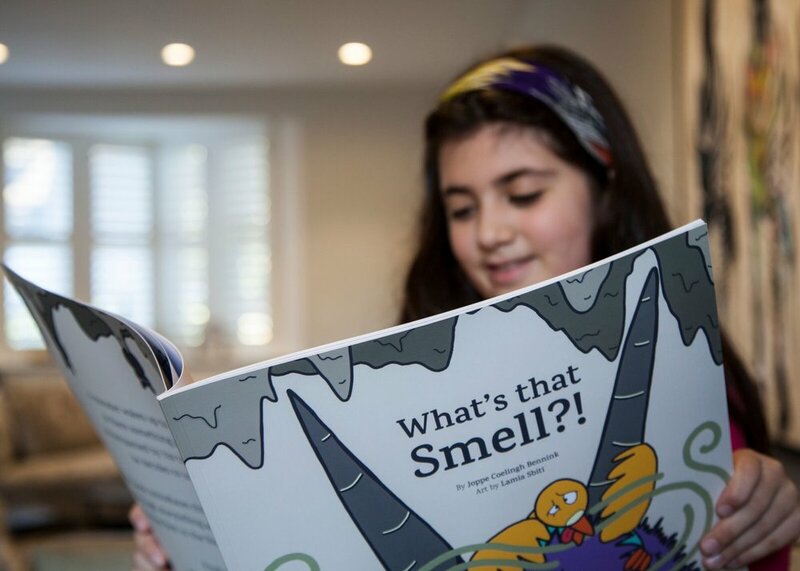 Our picture book "What's That Smell?!" is aimed at children aged 2-6. It is fun for your child to listen to, fun for you to read and, most importantly, it will help you in your quest to get your child more engaged to brush their teeth! What's That Smell?! is available for worldwide delivery. And the book is available in Waterstones, WH Smith, and any UK bookstore. If your local bookstore doesn't stock the book, simply ask them to order it in for you. Did you know Routine Adventures organised a monster drawing competition in a London primary school? And that we've hidden some of the children's monsters in the book's pages?! For more information on the monster drawing competition, click here. Or visit our Instagram page to see all the drawings. So How Do You Draw A Monster?